These Terms and Conditions (“Terms”) govern your access to and use of the services and So and So Arts Club websites (“Services”), and any information, text, graphics, or other materials uploaded, downloaded or appearing on the Services (collectively referred to as “Content”). Your access to and use of the Services is conditioned on your acceptance of and compliance with these Terms. By accessing or using the Services you agree to be bound by these Terms. In addition: For content that is covered by intellectual property rights, like photos and videos (“IP content”), you specifically give us the following permission, subject to your privacy and application settings: you grant us a non-exclusive, transferable, sub-licensable, royalty-free, worldwide license to use any IP content that you post on or in connection with So and So Arts Club . (“IP License”). This IP License ends when you delete your IP content or your account unless your content has been shared with others, and they have not deleted it. When you delete IP content, it is deleted in a manner similar to emptying the recycle bin on a computer. However, you understand that removed content may persist in backup copies for a reasonable period of time (but will not be available to others). When you publish content using parts of the Services which are available to everyone, it means that you are allowing everyone, to access and use that information, and to associate it with you (e.g. your username and profile picture). You will not collect users’ content or information, or otherwise access So and So Arts Club, using automated means (such as harvesting bots, robots, spiders, or scrapers) without our permission. You will not post content or take any action on So and So Arts Club that infringes or violates someone else’s rights or otherwise violates the law. You will not offer any contest, giveaway, or sweepstakes (“promotion”) on So and So Arts Club without our prior written consent. You will not post anyone’s identification documents or sensitive financial information on So and So Arts Club. We can remove any content or information you post on So and So Arts Club if we believe that it violates this Statement. If we remove your content for infringing someone else’s copyright, and you believe we removed it by mistake, we will provide you with an opportunity to appeal. If you repeatedly infringe other people’s intellectual property rights, we will disable your account when appropriate. You are responsible for safeguarding the password that you use to access the Services and for any activities or actions under your password. We encourage you to use “strong” passwords (passwords that use a combination of upper and lower case letters, numbers and symbols) with your account. So and So Arts Club cannot and will not be liable for any loss or damage arising from your failure to comply with the above requirements. 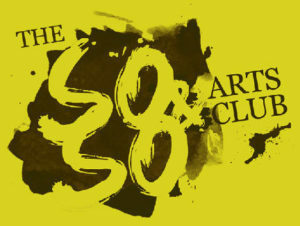 The words ‘The So and So Arts Club ‘ and the So and So Arts Club logo are trademarks of The So and So Arts Club Ltd. THE SERVICE IS PROVIDED “AS IS” AND So and So Arts Club DOES NOT WARRANT THAT THE SERVICE WILL BE UNINTERRUPTED OR ERROR-FREE, THAT DEFECTS WILL BE CORRECTED, OR THAT THE SERVICE IS FREE OF VIRUSES OR OTHER HARMFUL COMPONENTS. So and So Arts Club EXPRESSLY DISCLAIMS ALL WARRANTIES, EXPRESS OR IMPLIED, INCLUDING WITHOUT LIMITATION THE WARRANTIES OF MERCHANTABILITY OR FITNESS FOR ANY PARTICULAR PURPOSE OR USE, AND NON-INFRINGEMENT. To expedite resolution and control the cost of any dispute, controversy or claim related to this Agreement (“Dispute”), you and The So and So Arts Club agree to first attempt to negotiate any Dispute informally for at least sixty (60) days before initiating any court proceeding. Such informal negotiations commence upon written notice from one person to the other.